S/Y Drumbeat’s helm after receiving the IMED treatment. 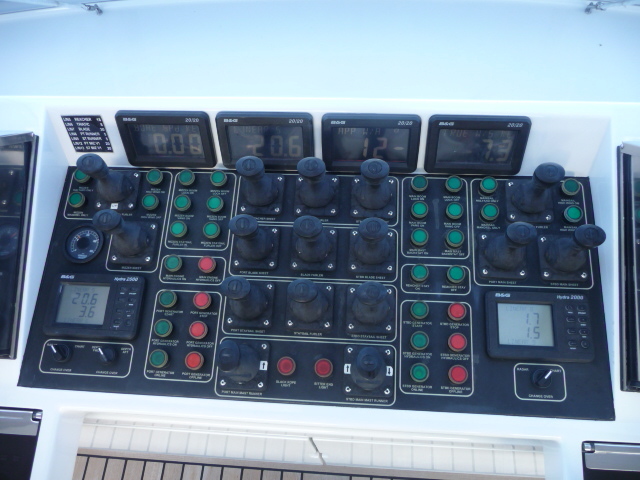 IMED has recently completed a successful helm station refit on S/Y Drumbeat. The 53-metre, Alloy Yachts-built ketch also received the IMED treatment in the form of reconfiguring shore power , seamless transfer and load sharing of generators all taken care of by the Westhaven-based company. April and May will also see company representatives travel to West Palm Beach, Florida, where they’ll install their custom-designed helm station for S/Y Genevieve, including two specially-commissioned carbon fibre wheels. S/Y Drumbeat before IMED’s refit work on her helm. IMED has been successfully designing and building control stations since 2006, creating custom helm control panels from carbon fibre, membrane and glass. The company designs and builds in-house and prides itself on the research and development undertaken to achieve control panels that are watertight, user-friendly and aesthetically-pleasing. 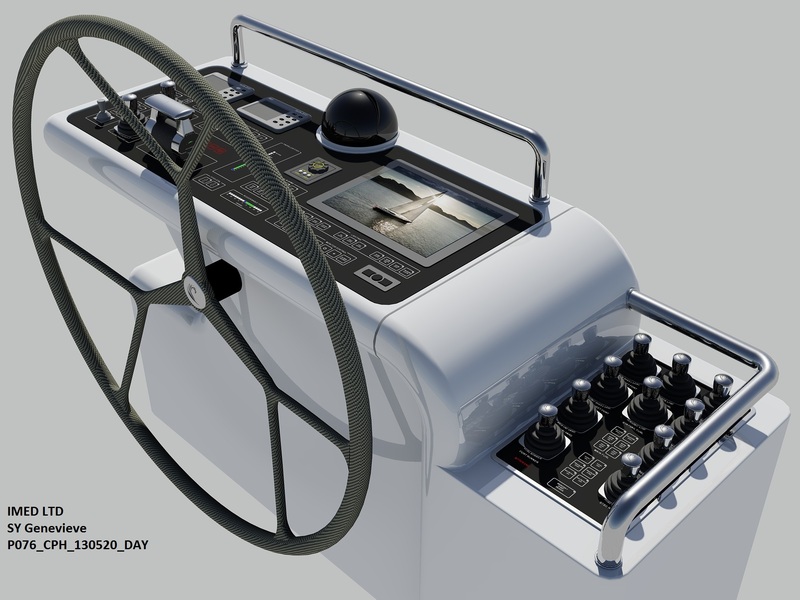 Concept drawings of IMED’s work on S/Y Genevieve’s helm. Based in ORAMS Marine, Auckland, IMED provides customised packages and solutions across electrical design and contracting, power generation solutions, shorepower conversion, alarms and monitoring systems and helm control stations.